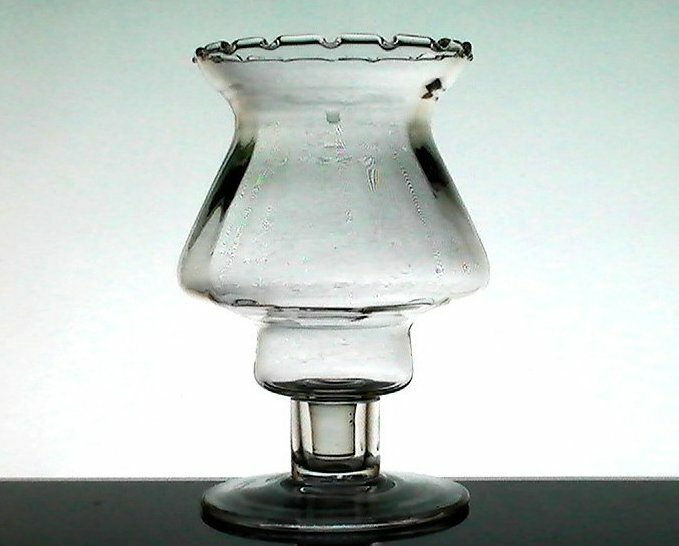 Peg Votive Candle Holder has a flared crimped edge in a Victorian style. 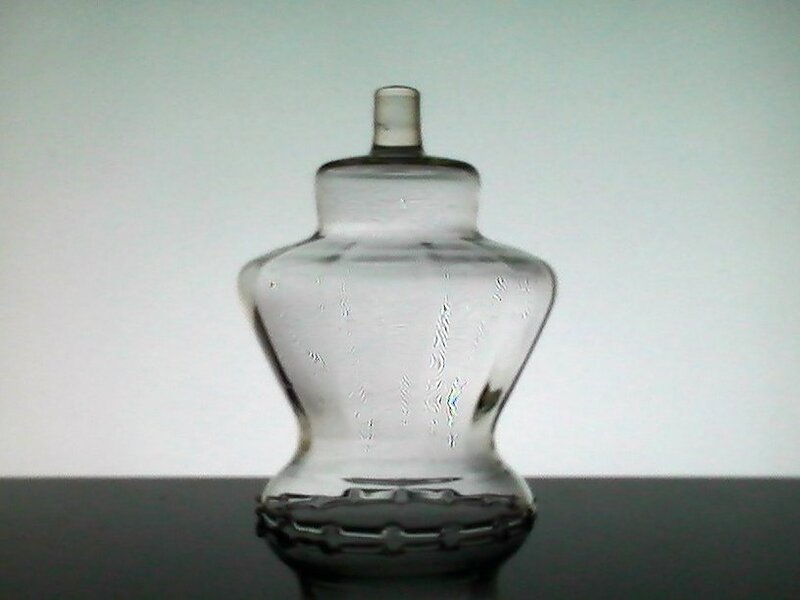 Gently ribbed crystal pegged holder, each measures 5.25 inches high x 3.5 inches wide Sconce cups have a flared crimped edged and are very delicate in appearance. This type varies slightly from the other two listings that are very similar in appearance. 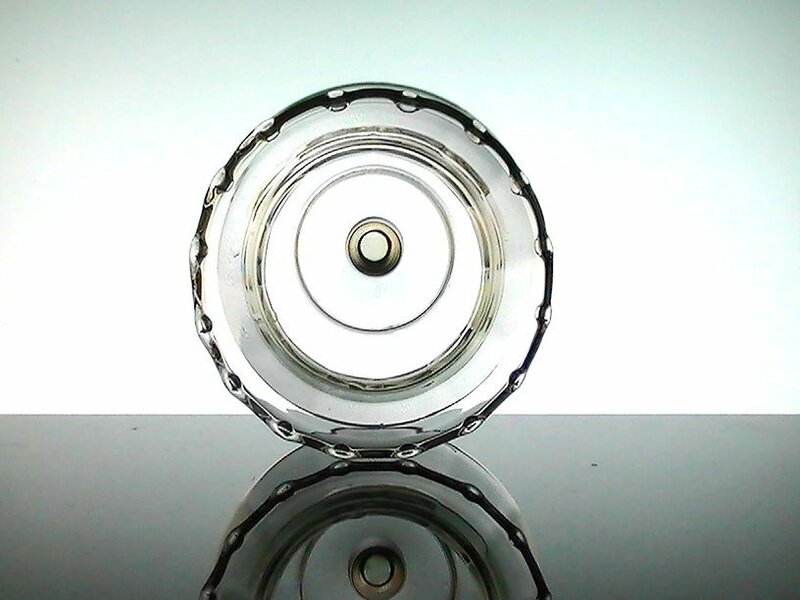 It is 1/4 inch larger across the diameter of the rim. 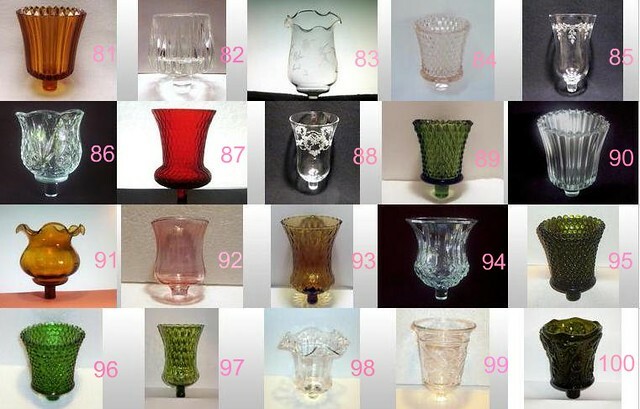 At the time of listing I have many other styles too. 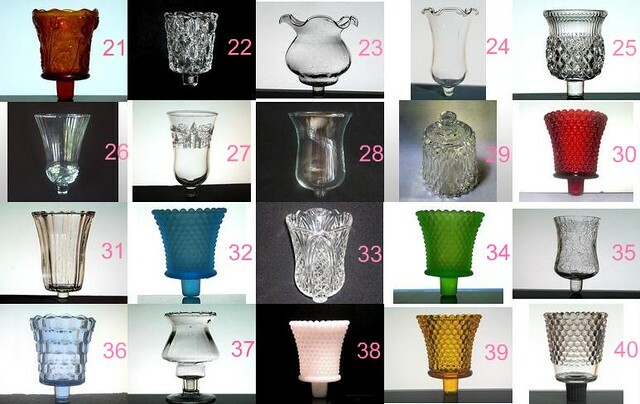 They can all be seen in my Candles and Accessories category on my main booth page. 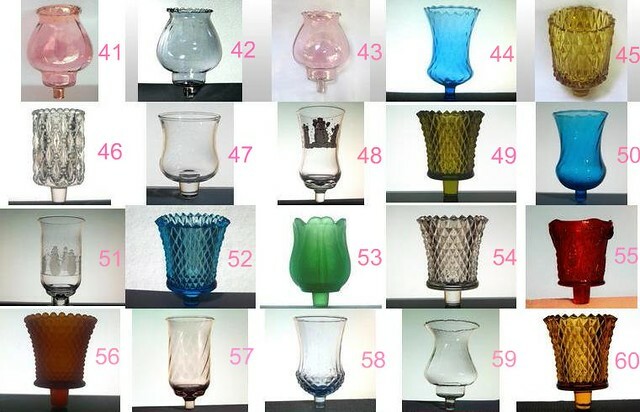 Hand blown and colored glassware can have variances regarding size, shape, color, and texture. If you are looking for a set of these, please contact me first to check on whether I can provide a close matching set for you. 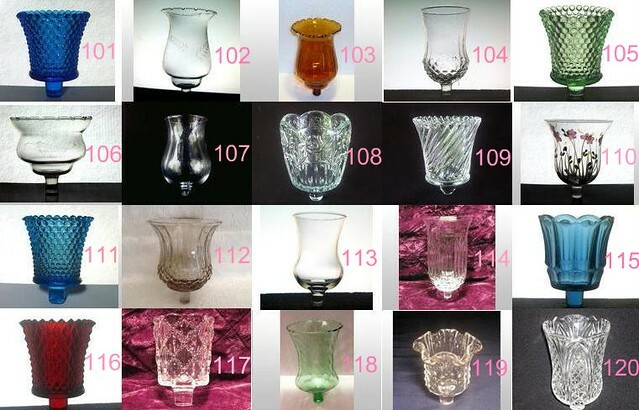 At the time of listing I have many other styles too. 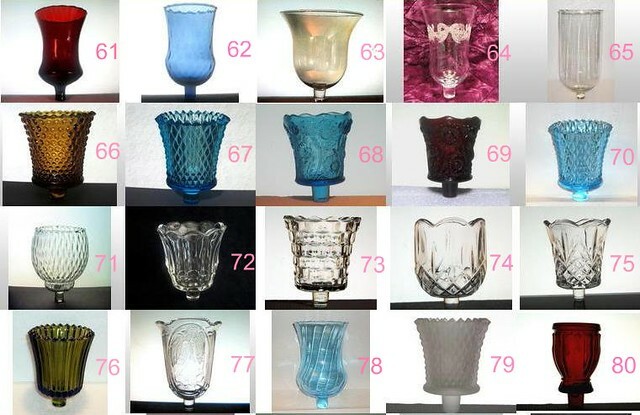 Some styles shown may no longer be available, and there may be others not shown here in these photo's. Please Note, Google does not permit duplicate listing of products based on condition. 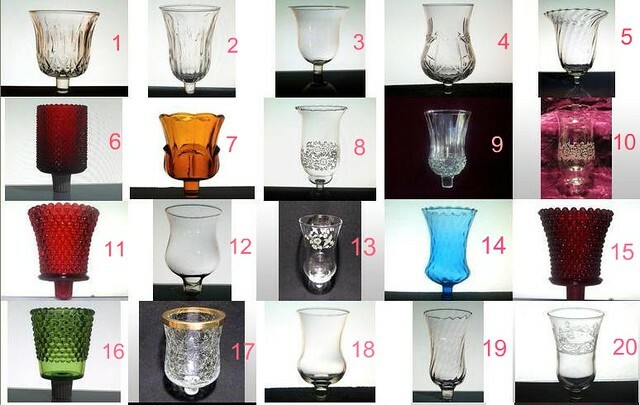 My Votive Holders come from several sources, mostly closeouts from old stock that remained unsold from representatives of Home Interiors or Partylite. All holders are in new or like new condition. Please remember that when ordering, you may be receiving one that is not brand new, but will be like new. I update inventory constantly so there is no way to specify how many are new and how many aren't. 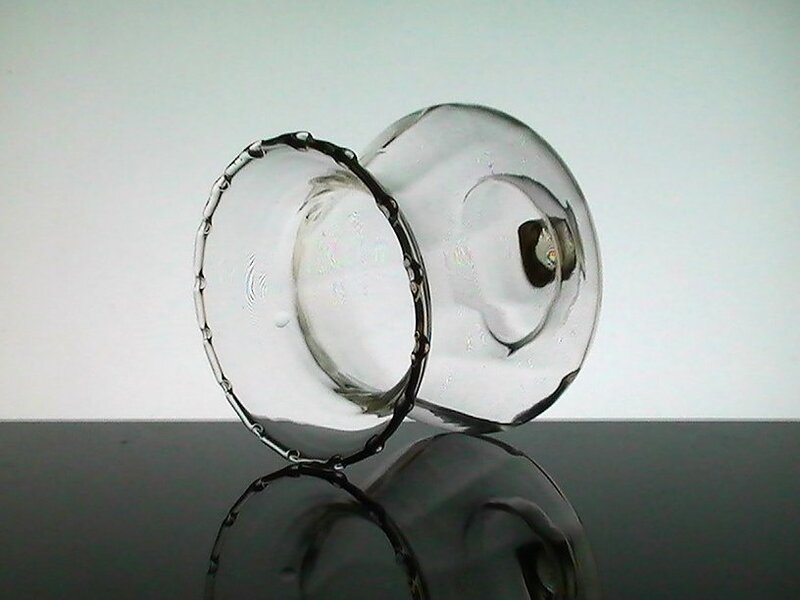 Prices are well below what the Manufacturer charges for these holders to compensate for that. When fully stocked...Moms Pennies From Heaven carries one of the largest varieties of peg votives anywhere on the internet and style's as well as quantities available are always changing. Many of them are in quantities of more than one. so you will always be sure to get a high quality product. In the event a rare holder is listed with some type of defect, it will be noted in the listing, as it will probably also be one of a kind. This is typical for older vintage holders. All purchases come with rubber grippers.